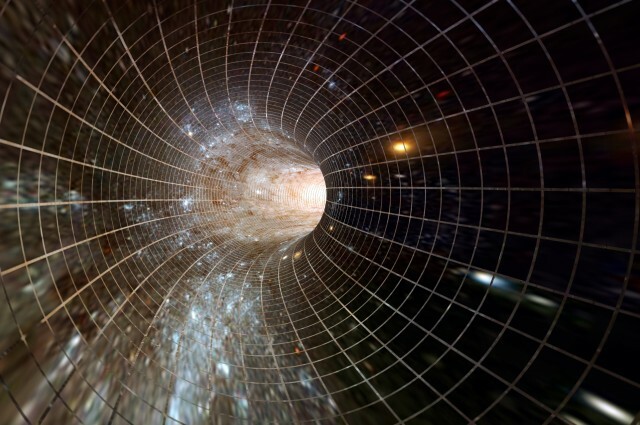 The simplest definition of space-time is “space-time is any mathematical model that combines space and time into a single interwoven continuum” Space-time is a difficult concept to understand. Below are the 10 must-know facts about space-time. 1. Time passes more slowly in the orbit around earth than on the surface of the earth. This means that returning astronauts from space arrive home slightly younger. 2. The universe has been expanding for 13.7 billion years, this produces a cosmic horizon in space, where the light has not reached earth yet from objects further away from 12 to 13 billion light-years. 3. The shortest moment in time is defined by thePlanck time, which is 5.391 06(32) × 10−44 s. It is determined by the Planck’s constant, the gravitational constant and speed of light. 4. Matter determines how space-time curves. General Relativity explains how a spaceship travelling any speed slows down as it passes through a gravitational field, such as passing the planet Earth. 5. NASA’s Voyager 1 is at the edge of our solar system, it is at the distance of 19 billion kilometers away and it takes over 16 hours to send or receive a radio signal. 6. Time hasn’t always existed, the theory of relativity suggests before the Big bang, 13.74 billion years ago, time and space didn’t exist. 7. The fundamental description of the universe does not take into account Past, Present and Future. According to the special theory of relativity, there is no such thing as future or the past, everyone’s time frame is relevant to each other. 8. Atomic clocks are the most accurate clocks ever built. Some clock can measure a single vibration in a single atom of Mercury. 9. Time on Earth is actually slowing down. This is due to the tidal friction of Sun and the moon. So the day is lengthening by 1.7 milliseconds each century. 10. The Cosmic Microwave Background is the remnant of the hot Big Bang that fills the entire sky. Certain fluctuations in the temperature on Cosmic Microwave Background could give us clues about other universes.